Not all experts agree on the timeline of brain-computer interface technology. The technology for virtual reality (VR) has been growing in leaps and bounds over the past few years. From teaching us chemistry to helping us design cars, the virtual world is becoming more and more dominant in our everyday lives. However, VR is still hampered by the necessity for users to wear clunky headsets and possibly other gear. While these are becoming more user friendly, we wanted to know when we will be able to bypass all that equipment to simply connect VR to our minds directly. We asked Futurism readers what they thought and got a range of predictions. The decade with the most votes was the 2030s, taking 36 percent of readers’ votes. One such vote came from Kevin Kealey, who noted our progress in mapping the human brain and predicted this knowledge would soon allow VR techs to place electron inputs and outputs in the right places. “[T]he whole brain will be mapped and fully understood very soon,” Kealey commented. “We know where emotions come from. We know how to control them. We know most invasive techniques to place things within the body.” While we still have a long way to go before we truly comprehend the complexity of the human brain, we are making progress in mapping it — even using VR to help get the job done. These guesses aren’t too different from some that are coming from experts in the field. For example, Dan Cook, founder of EyeMynd BrainwaveVR, has been working on tech that will allow users to interact in VR using their brainwaves — no headset or controller needed. “Ten years from now, this will seem obvious,” Cook said in an interview with the Guardian. “Computers are becoming fast enough that we can detect and interpret all the signals of the brain in real time.” Cook bases his technology off of the principles we observe when people dream. The mind can “see” and “hear” without using eyes or ears, and we should be able to harness that neurological ability, Cook argues. Others in the field are more skeptical about the state of brain-computer interface (BCI) technology. An international group of researchers determined that methods for interacting with virtual environments through our thoughts “remain in their infancy,” as they wrote in a study published in Computer. “Major research challenges must be tackled for BCIs to mature into an established means of communication for VR applications,” the researchers concluded in the paper. While we may have to wait a number of years before we can enjoy a virtual world sans headset, companies are continuing to invest in BCI and VR technology. Who knows where the science will be by the time they finally release Magic Leap. 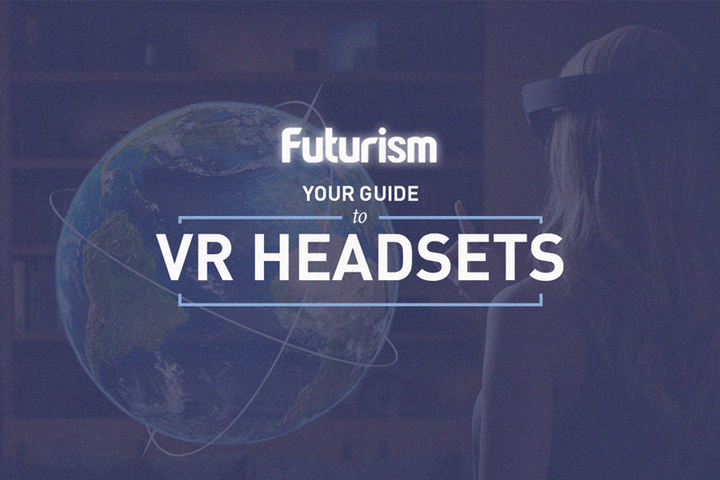 See all of the Futurism predictions and make your own predictions here.